Something wintry to end 2016. Happy New Year, one and all! Happy new year for you Kaja. Hoping for better times. Happy New Year, Kaja! Keep up the good work. Lovely wintry photos - I always look forward to your Saturday photos. 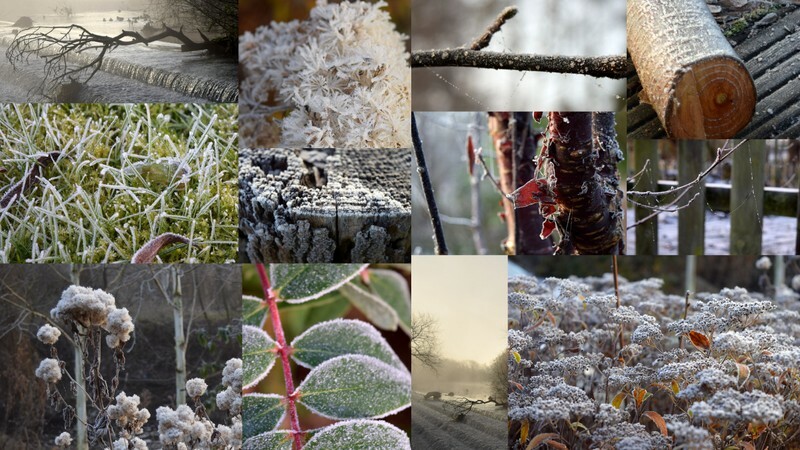 Nice frosty pics! We haven't had much of a winter yet in my area of western New York state. Unusual. But now that I've said it . . . . .
Fun frosty pics! Happy New Year. Visit my blog for theme parties this year! There are fun giveaways. Follow, comment and link to enter! Great texture, with fairy frost dusted all over, magical.